The Dallas Opera’s inaugural performance for the new Art Song Recital Series opened to a full house at the Dallas City Performance Hall on Saturday evening. The City Performance Hall was possibly the perfect size for the stated goal of showcasing “well-established singers in programs dedicated to preserving the fine art of ‘art song,’” as it’s much more intimate than say, the Winspear, but still large enough to have a sizable audience for this caliber of a performer. If the inaugural performance is an indicator, this will be a wonderful series for years to come. Bringing true art song recitals to opera audiences is commendable on its own, but with programs featuring a mix of both romantic and twentieth-century works, Dallas could be starting something truly special. 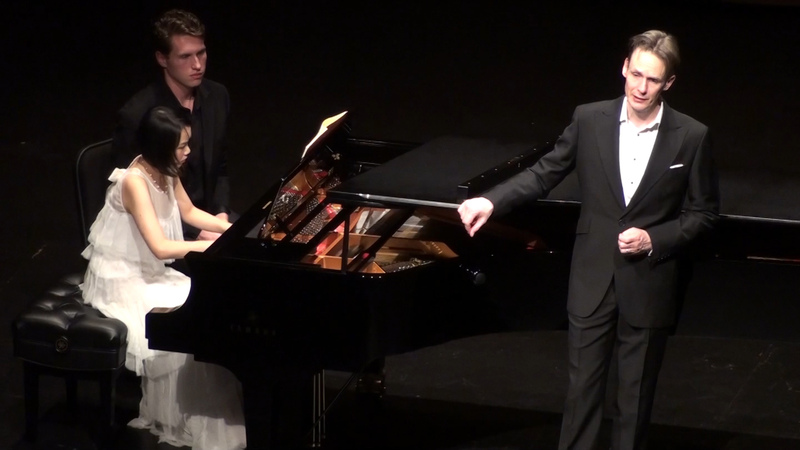 Launching the new series was tenor Ian Bostridge, and pianist Wenwen Du, in an impressive two-hour program where both performers seemed to get stronger as they went along; capped off by two highly entertaining encores. The duo offered a timely program (especially considering the recent weather) featuring the first twelve works from Schubert’s Winterreise and Benjamin Britten’s Winter Words. While Bostridge performed Shubert’s difficult cycle admirably, he really came to life after the intermission as he got into the newer (English) works. Bostridge was at his best during Winter Words, projecting an infectious energy throughout the cycle; an energy that easily carried over into a wonderful performance of Noël Coward’s The Party’s Over Now. After a lengthy and taxing performance, both Bostridge and Du continued their momentum through two crowd-pleasing encores bringing the evening to an exciting close. It was a great start for the series and should have Dallas audience members in great anticipation for the next recital in the new series.